When it comes to personal injury or wrongful death cases, experience counts. Tim Elliott is an experienced, tough Bend, Oregon personal injury lawyer and wrongful death attorney. Tim is a former insurance lawyer working on behalf of insurance companies. As such, Tim has unique and valuable experience in personal injury law that some other lawyers don't have, a knowledge of how insurance companies decide to defend or pay personal injury claims. Call today for a free consultation. Tim Elliott is a personal injury lawyer and wrongful death attorney that does not get paid unless he recovers money in payment of your personal injury claim or wrongful death claim. That is to say there is no fee for Tim's legal services as a personal injury attorney unless Tim recovers a monetary sum on your behalf, either by settlement or after trial of your personal injury claim or wrongful death case or claim. Tim's fee is contingent upon recovery. Although Tim is a personal injury lawyer based in Bend, Oregon, Tim handles personal inury throughout Oregon, Idaho and in other jurisdictions, as well, such as Washington and Nevada. If you have suffered a personal injury, or someone in your family has suffered a personal injury, Tim Elliott will come to you or your family should the need arise. Tim offers competitive contingency rates for his services as a personal injury attorney. Many Oregon personal injury attorneys have websites that discuss their experience, agressiveness, skill. But few lawyers, if any, discuss in detail the true nature of their contingency fee, except to say that if they do not win, you do not have to pay their fee. 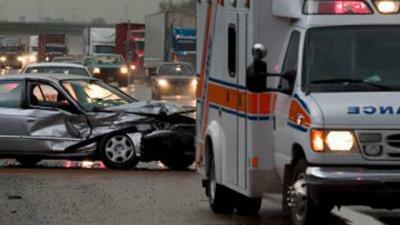 Most often the personal injury attorney takes a percentage of the amount of the total recovery. That percentage can vary. Many attorneys increase there percentage when a case gets close to or is actually tried. Tim is a personal injury attorney that does not do that. Tim offer's competitive contingency rates and invites you to take advantage of his free consultation and welcomes discussion regarding fees. Call Tim at (541) 647-1408. Click on our Free Consultations button under this banner to learn more about how to setup a free consultation with a personal inury attorney about your personal injury case or claim. Or, simply call Tim Elliott at (541) 647-1408. You may also contact us by email under the banner Contact a Lawyer. Driving Under the Influence: Am I DUII Diversion Eligible in Oregon? Tim Elliott is a Bend, Oregon lawyer and the founding partner in the Bend, Oregon law firm of Elliott, Riquelme & Wilson, LLP, a full service Bend law firm serving clients throughout the state of Oregon, including Bend, Oregon, Portland, Salem, Redmond, Sisters, La Pine, Sunriver, Prineville, Madras, Burns, and throughout Central Oregon.